CLIMATE CHANGE FORCED OVER 1 MILLION AFRICANS FROM THEIR HOMES IN 2015 | "Global Possibilities"
Immigration Reporter at ThinkProgress. Migration. Refugees. 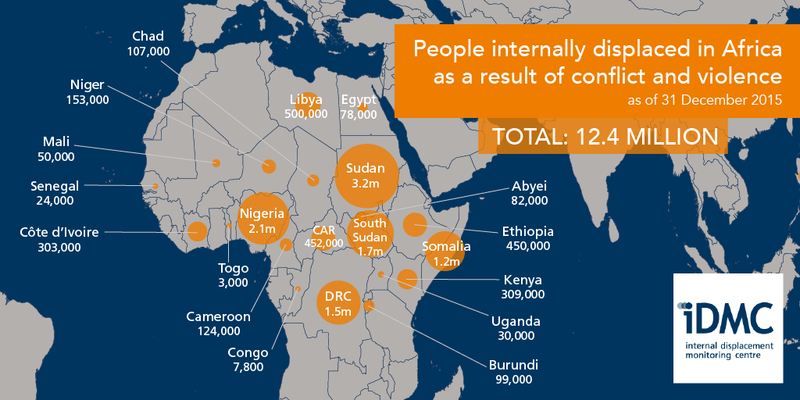 At least 12 million people lived in ongoing displacement caused by conflict, violence, and other disasters across the African continent in 2015. And in the future, climate change may be the lead driver of even greater displacement. In the Africa Report on Internal Displacement — a new report by the Internal Displacement Monitoring Centre that focused on internal displacement across the entire African continent — researchers found that “disasters triggered by rapid-onset natural hazards” forced 1.1 million people from their homes across 33 African countries last year. What’s more, disaster-induced displacement makes people more vulnerable from one year to the next and more susceptible to food insecurity since planting and harvesting become disrupted when farmers are absent. Flooding was the primary trigger of immediate displacement, forcing 14 million people out of their homes in the six-year period leading up to 2015. Earlier this year, 56,000 people were forced from their homes in Ethiopia because of severe flooding. At the same time, droughts contribute to strains on agricultural, pastoral livelihoods, and food security. 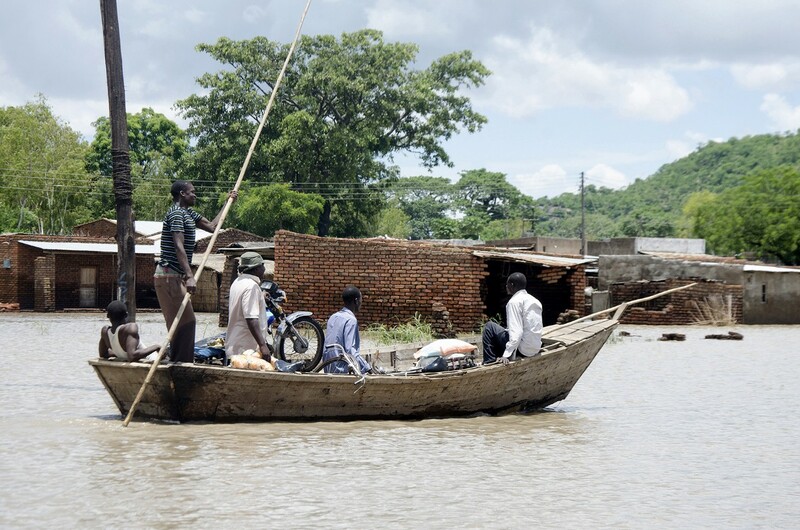 Researchers said that extreme patterns of alternating periods of flooding and drought in countries like Malawi could lead to an increase in the number of IDPs in the future. A flood in January 2015 wiped out infrastructure and killed livestock, displacing more than 336,000 people in the process. Four months after the flood, almost a third of those people were still living in displacement camps. And droughts across south Africa have led to severe food shortages in Malawi. “Projected weather patterns over the 21st century include an increase in drought and heavy rainfall in southern and east Africa, more intense precipitation in west Africa and more frequent heatwaves in north Africa,” the report predicted. Already, scientists predict that climate change could lead to food insecurity across the globe and greater numbers of people moving to places that aren’t under water or drought conditions. In poorer countries, floods and droughts could even lead to mass migrations and political upheavals. In Nigeria, about 90 percent of the nearly 2.1 million people displaced as of August 2016 were on the run because of Boko Haram, but the changing landscape has also led to food insecurity and unstable living situations. Over the past 45 years, the surface area of Lake Chad has shrunk by 90 percent, forcing people to migrate south to access water and to allow livestock to graze. Researchers noted that they were unable to estimate the number of people who continue to be displaced because of earlier disasters, “but what evidence does exist suggests the figures are probably significant.” That’s because sudden disasters may make it difficult to track people on the run. When they return, they may be unable to recover “and achieve a durable solution,” the report says. Short-term improvements are expected in South Sudan with improved harvests, but ongoing fighting in the country has driven more than 2,400 people to Uganda’s northern region on a daily pace. Last week, a team of UN human rights experts warned that South Sudan would could “see a repeat of what happened in Rwanda,” referencing the genocide of nearly 800,000 mostly-Tutsi minority in 1994. IDPs are protected under international humanitarian law, but few laws fully address the obligation of state parties and countries to protect them when they are on the run within their own countries. December marks the four-year anniversary of the African Union (AU) Convention for the Protection and Assistance of Internally Displaced Persons in Africa, more commonly known as the Kampala Convention. The treaty established state responsibilities for the prevention of internal displacement and the protection of IDPs. “This report offers a timely reminder of the scale and complexity of internal displacement as we mark the anniversary of the entry into force of the Kampala convention, Africa’s landmark commitment to preventing internal displacement and protecting the rights of IDPs,” African Union Special Rapporteur on refugees, asylum seekers, migrants and IDPs Maya Sahli Fadel said in a statement.